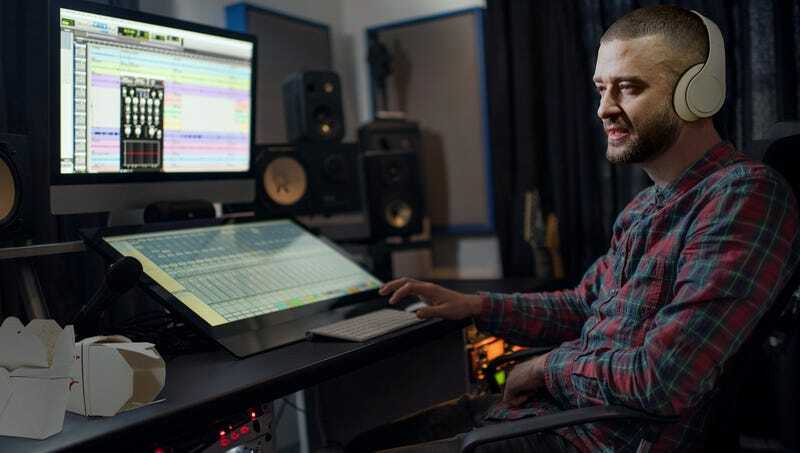 MINNEAPOLIS—Pacing anxiously between a piano and drum machine, pausing only to scrawl down hasty notes or blow into a recorder, elder pop statesman Justin Timberlake reportedly pulled a panicked all-nighter Thursday after realizing his fifth studio album, Man Of The Woods, was due the next morning. “I knocked out a single a few weeks ago, I threw together a trailer video, but I still have 15 songs to write by morning,” said the 37-year-old former boy-band star and current one-man hit factory while frantically flipping through old notebooks for inspiration. “Okay, I’ve been here before, I got this… Blue-eyed soul, maybe something that sounds country for the Wal-Mart crowd… Does ‘Man with a plan’ rhyme with ‘Livin’ off the land?’ Too late, it does now… Oh, oh, oh! I should call Alicia [Keys]. She’s always down for a last-minute cram duet.” As of press time, critics were calling the bleary-eyed Timberlake’s latest effort a timeless collection of scintillating pop standards.